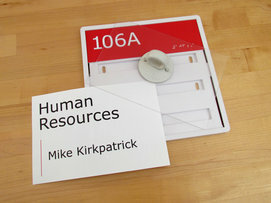 Changeable ADA signs -- you print the changeable paper panel. New SNAP changeable ADA signs give you more options for customizing and changing out your message, swiftly and easily! 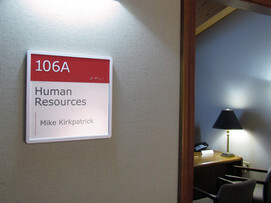 Be sure to check out our demo video page, with an informative 1-minute demonstration on changing economical ADA signs. Discover all that you can do. Download this ADA-Sign-Template.doc or this ADA-Sign-Template.docx to edit and print your own sample ADA sign. 2) A replaceable printed panel displays the changeable information. The 1"-high raised letters and adjacent Braille are ADA-compliant on these economical ADA signs. Note the high contrast between the white letters and red background, and black letters and white paper background. 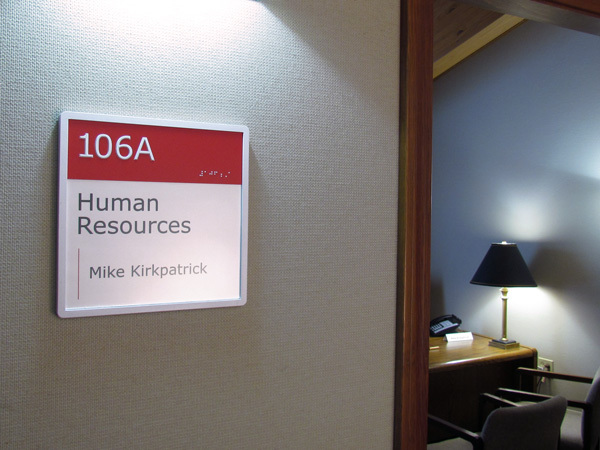 Remember...a legible, sans-serif font is always the right choice for customizable ADA signs. Just send us your specs and we'll manufacture a panel containing tactile letters and Braille, then place it in a frame and add the clear lens. You simply print the paper panel, then slip it behind the lens. 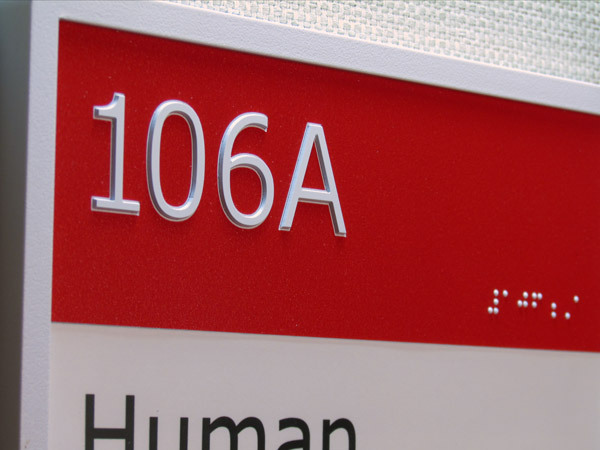 When updating your information, change only the printed panel to create your new, reusable ADA sign. Go ahead...print your economical ADA signs now. Download this ADA-Sign-Template.doc or this ADA-Sign-Template.docx to edit and print the changeable panel. 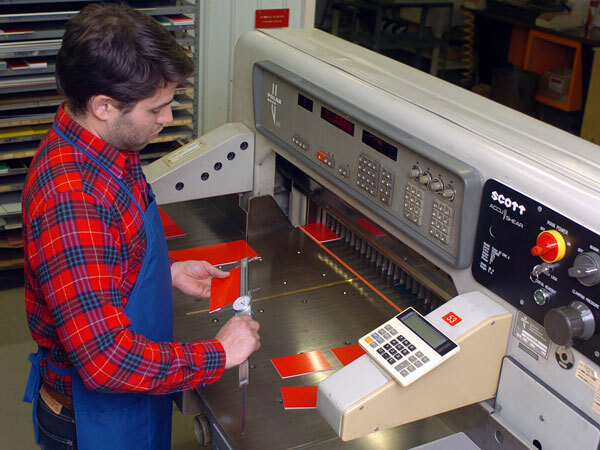 Little details are a big deal to our customer support staff at Scott Machine. Whether it's checking the dimensions of a panel of plastic or simply giving you friendly, knowledgeable advice, we believe a true measure of good service is great value. Call us at 607-865-6511 and let us prove our value to you! Now it's easier than ever to make your own ADA signage, while meeting government requirements and creating a user-friendly environment. SNAP signs provide the perfect combination to deliver a custom ADA sign that feels right and looks great.